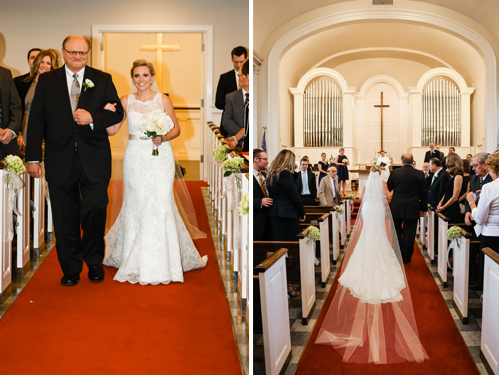 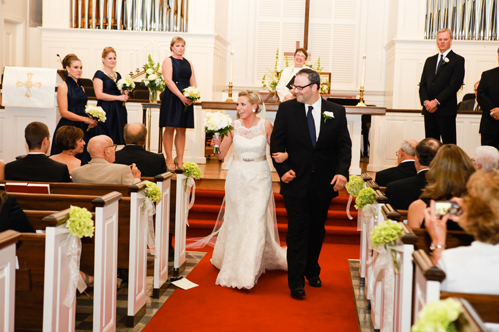 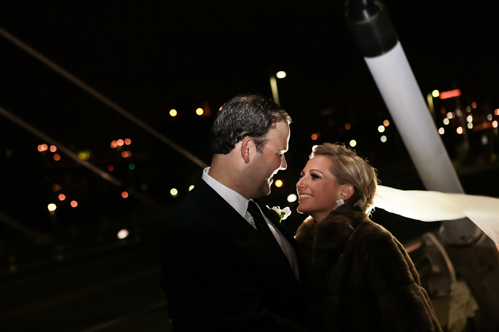 At first glance, Jessica and Matthew’s cold-weather wedding was a traditional and romantic affair. 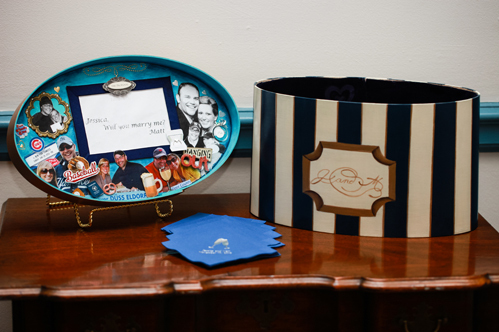 But up close, guests realized the classic navy blue color scheme contained an entertaining twist.“Matt is a huge Yankees baseball fan, and it was fun to integrate the navy and white pinstripes subtly into our décor,” says Jessica, who’s accompanied him to many Yankees games during their travels. 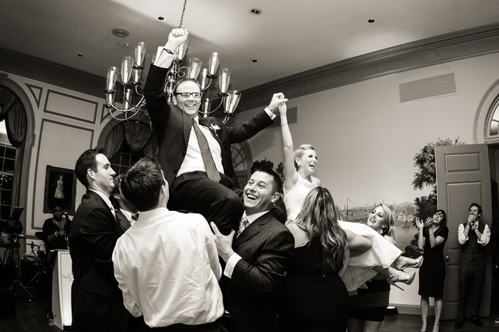 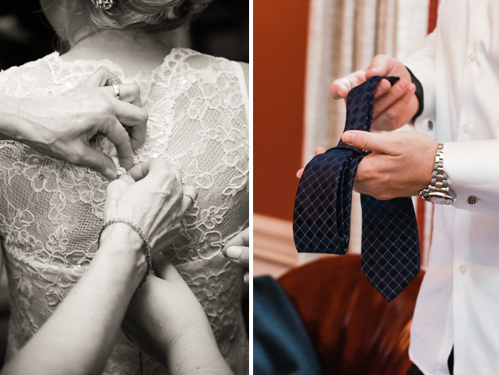 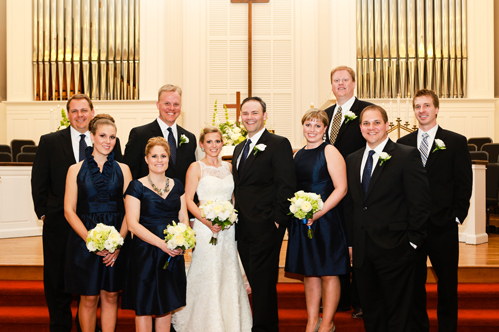 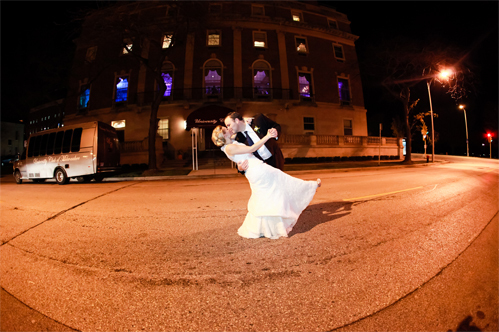 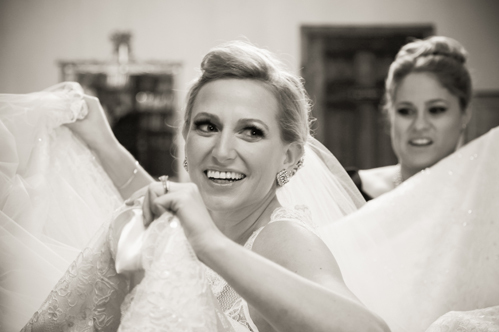 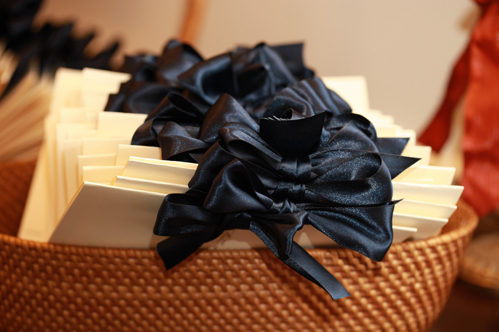 The Milwaukee couple chose details that were very personal for the bride, too, most notably the reception locale. 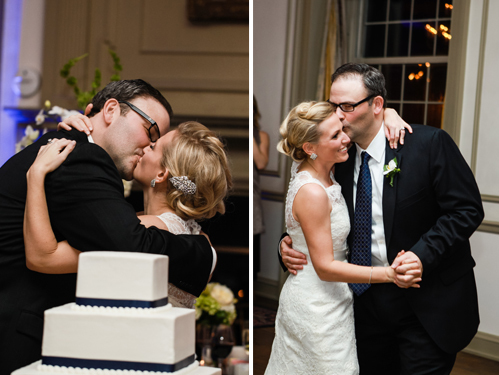 Members of her family belong to the University Club of Milwaukee, and they’ve shared many happy memories there. 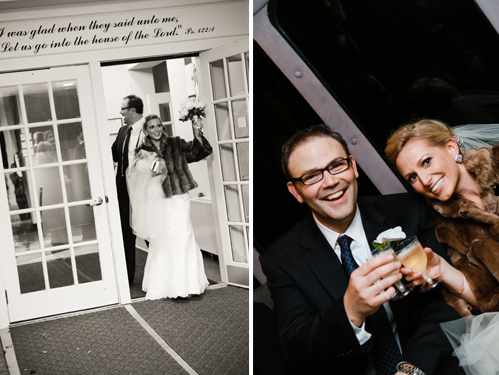 “The view of Lake Michigan is also truly amazing from the U-Club windows,” she says. 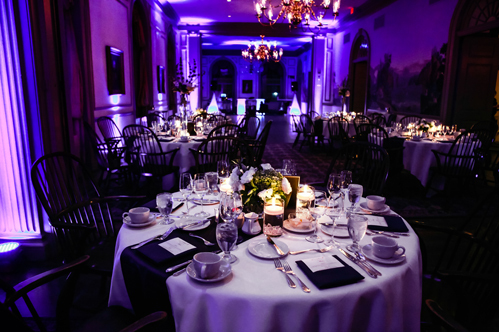 With the help of a handmade memento-bedecked card box, glowing candles, navy uplighting and lush floral arrangements, there was plenty to admire indoors, too. 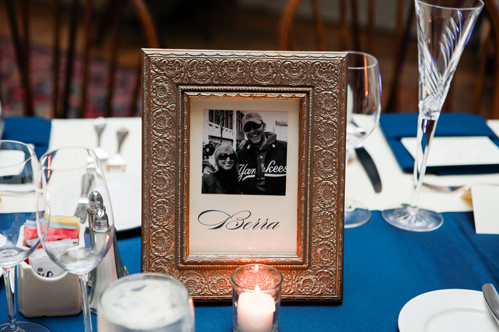 At dinner, family and friends also discovered that each table was named for a famous Yankee, and was decorated with a photo of Jessica and Matthew at a game. 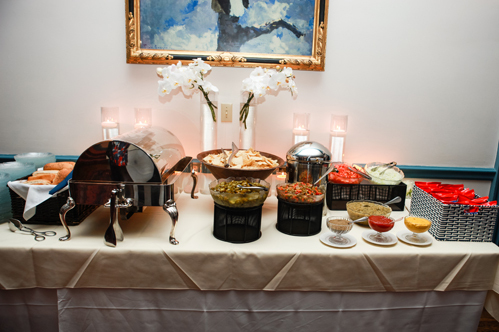 The revelry continued long into the night, thanks to a dance band and a baseball-themed late-night snack: Chicago-style hot dogs and Cracker Jack—“a huge hit with our guests!” says Jessica. 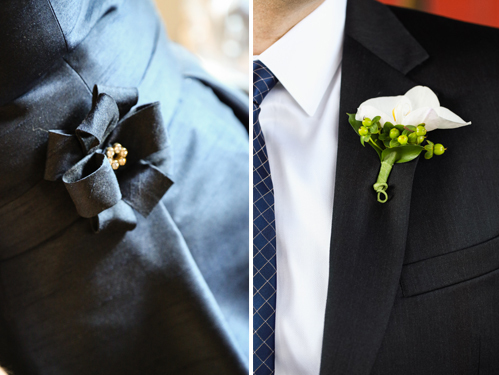 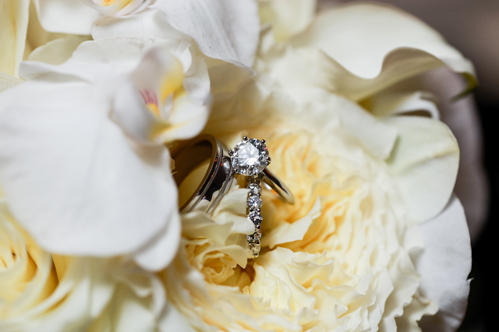 Pingback: Jessica & Matthew-A Belle Fiori Favorite and 'Wed In Milwaukee' Feature | Belle Fiori, Ltd.